DePere makes up a charming little city on the eastern border of Green Bay. It is a historic city located on the Fox River. DePere has everything to make your living experience exceptional. DePere's historic downtowns offer unique shopping, casual and fine dining. The atmosphere is friendly and inviting to everyone. The Fox River is DePere's greatest geographic landmark; a major attraction for sport fishing, boating and water skiing in the summer, and also ice fishing in the winter. The beautiful Fox River Trail runs right through the city, along the river and through Voyageur Park. The trail is a great resource for walking, hiking, roller-blading and cycling. 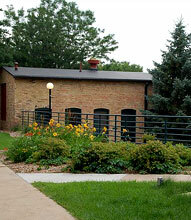 The Fox River trail and the Fox River are just steps from the Historic Lawton Foundry. 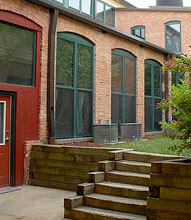 Copyright © 2019 The Historic Lawton Foundry Town Homes All Rights Reserved.